google-site-verification: google8d8438b214143f71.html Beautiful Quotes: Time spent is priceless. 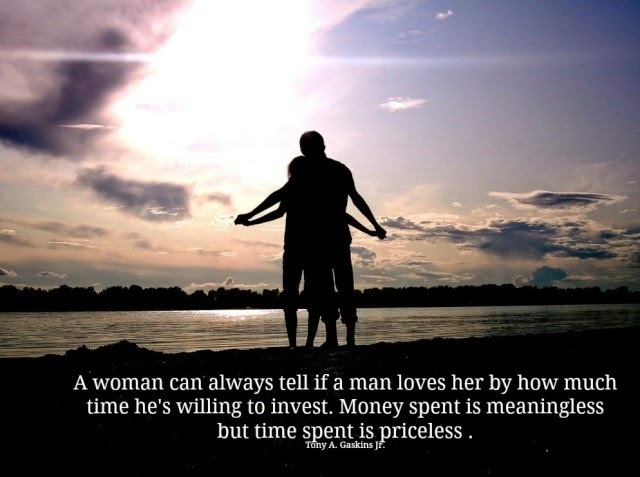 A woman can always tell if a man loves her by how much time he’s willing to invest. Money spent is meaningless but time spent is priceless .